Stone pavers, sawn thin, are available from our antique reclaimed Historic European Cobblestone collection. 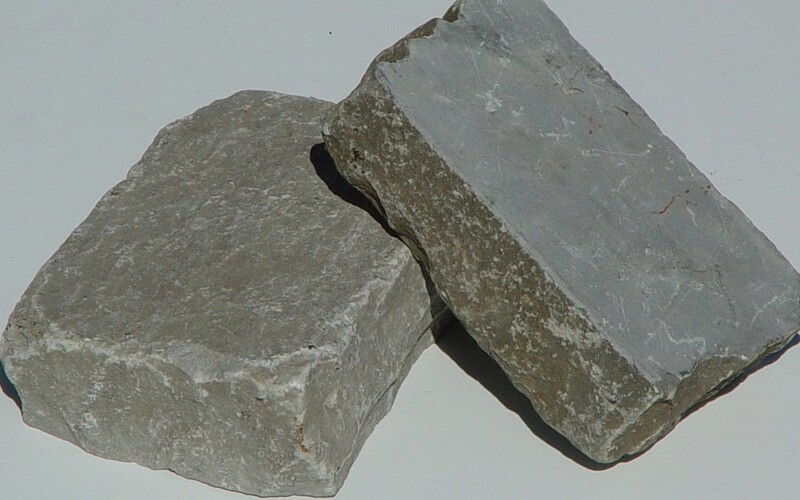 Genuine antique cobblestone is not typically thought of as a stone paver due to its size and irregular shape, especially if it is antique, salvaged or reclaimed. However, our saw-cutting ability can provide a perfect combination of old and new! Old-world European cobblestone meets new technology and is sliced thin – providing the antique top only, at a height of 1-1/2” or 2” to create stone pavers for driveway, walkway, patio and other landscape design applications. This can be done for 5×5, 6×6, 7×7 squares or two sizes of rectangles; 4×7 or 5×8. Plus there are two types of stone to choose from; granite/porphyry or a very hard/dense sandstone. Natural stone pavers are far superior in appearance (they look real because they are real) and durability when compared to concrete or manufactured varieties. Thin antique cobblestone pavers can also be used for interior flooring and wall veneer in addition to traditional use outdoors on walkways, driveways and courtyards when set on a concrete base. The uniqueness of each cobble is part of the genuine charm and is the reason that natural, old antique cobblestone is so appealing! Installing a sawn or sliced antique cobblestone paver on a sand base is not recommended due to its irregularity and inability to attain tight joints. There are no flat sides on an antique cobblestone. However, an antique cobble in a thin paver for wet setting on a concrete/mortar base, is a wonderful combination of look and function! Give us a call today to find out more about our nationwide delivery and wide variety of paving stone options. Old, Used Cobblestone – History Beneath Your Feet!